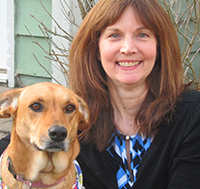 Dr. Celeste Clements graduated from the University of Florida College of Veterinary Medicine in 1989, and then spent a year of internship at the Animal Medical Center in New York. After two years of general practice she entered into a clinical residency in small-animal internal medicine at Texas A&M University, which concluded with board certification in 1995. She practiced for five years in referral centers in Maryland and Texas, and then was employed by a veterinary pharmacy. She joined IDEXX as an internal medicine consultant in 2007, and now serves as a medical content specialist and Pet Health Network contributor. Her professional interests include renal disease, hematology, immunology, and infectious disease. Celeste lives near Annapolis, Maryland with her husband Mike, daughter Carolina, and a goofy hound dog named Bella who lives to chase squirrels. The local dog park is their new favorite destination.